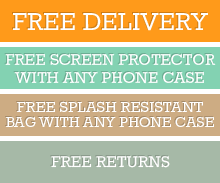 This case is shock absorbent which keeps device safe from damages if it drops from low heights. It also includes raised edges so that unprotected screen can avoid direct impact. Case is also scratch-resistant and has reinforced grip. Created with three layers, the bumper and back cover is created with PC to guarantee durability. Meanwhile, the inner body and frame is made from silicone for flexibility and easy removal and installation. Simple and minimalist, this design caters more to protecting your device with its armour-like appearance. But it has a rear cutout to showcase the logo. Click the button below to add the iPhone XR Case Purple Dropproof PC & Silicone Protective Back Cover with Enhanced Grip & Scratch-Resistance to your wish list.